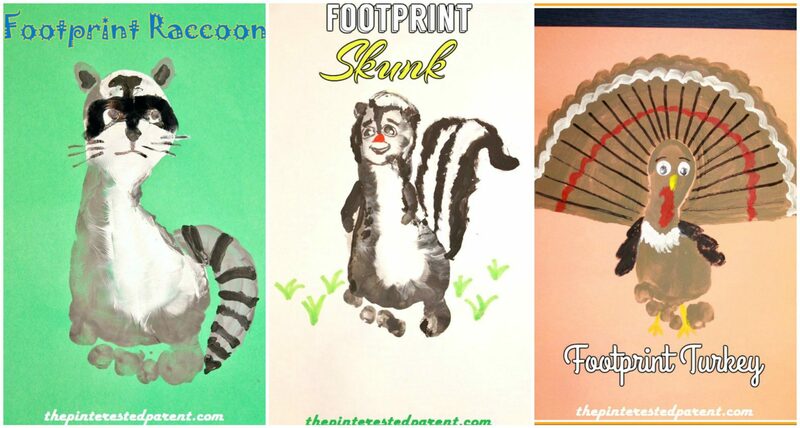 We are getting into the home stretch with our footprint animal crafts from A-Z. 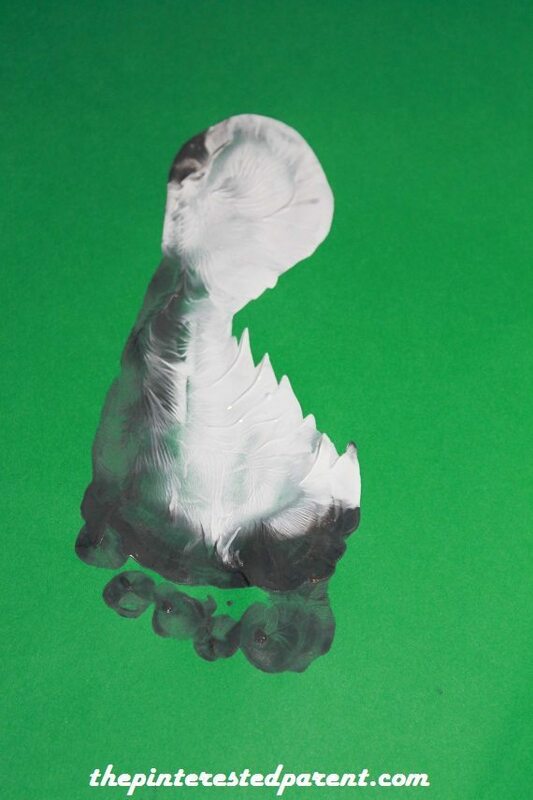 Yesterday we were able to make crafts for the letters R, S, & T. As always we start with a painted foot. 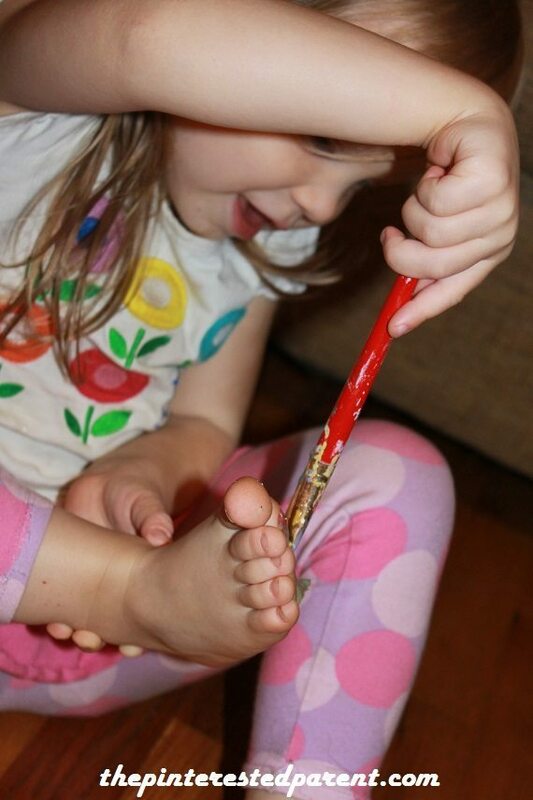 Mai insisted that she could paint her own feet last night. 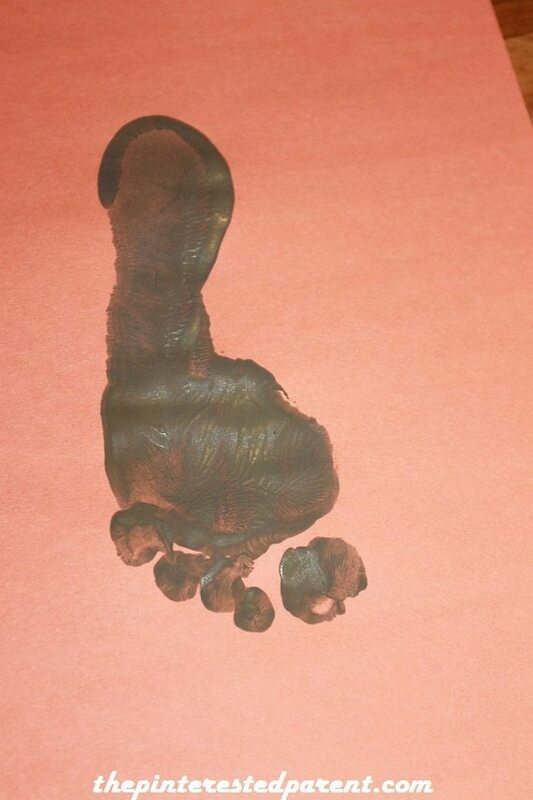 So we let her paint her own feet first. 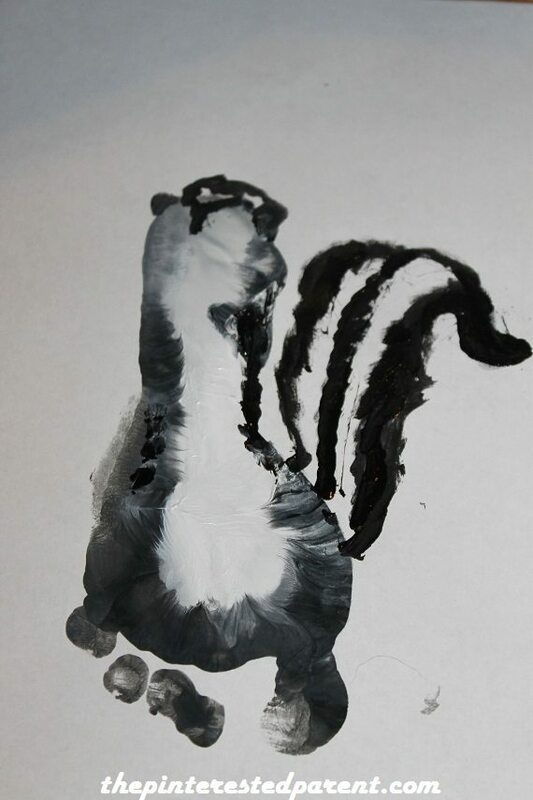 For the raccoon, paint white down the center of the foot & paint the outside in gray. Press onto a piece of paper. Paint in the ears & tail in gray. 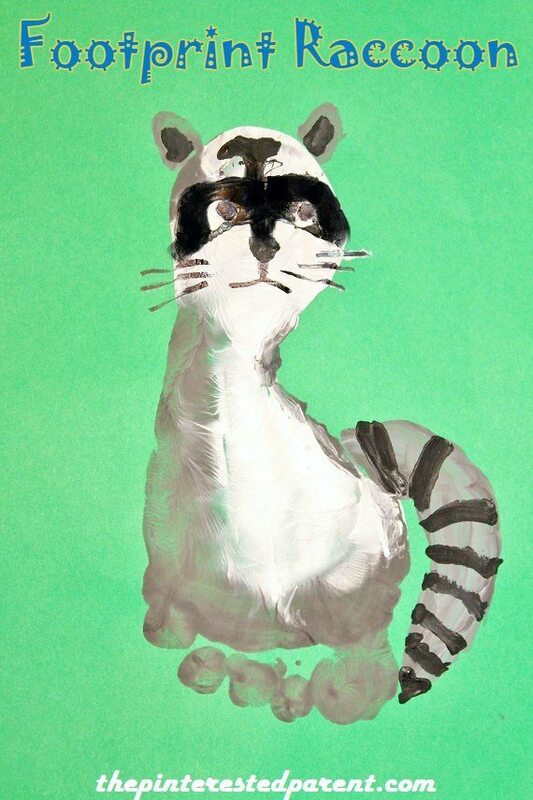 Paint in the raccoon mask & add black stripes to the tail & the center for the ears. 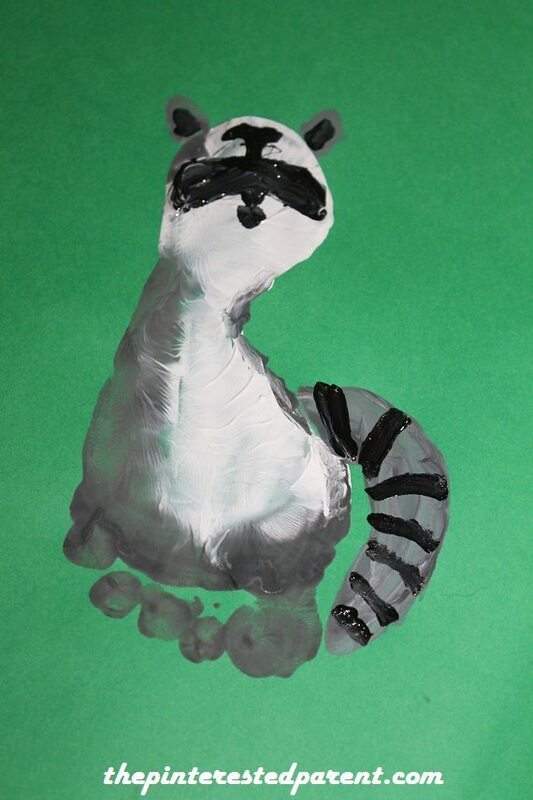 Paint in or use a magic marker to add the eyeballs, mouth & whiskers. 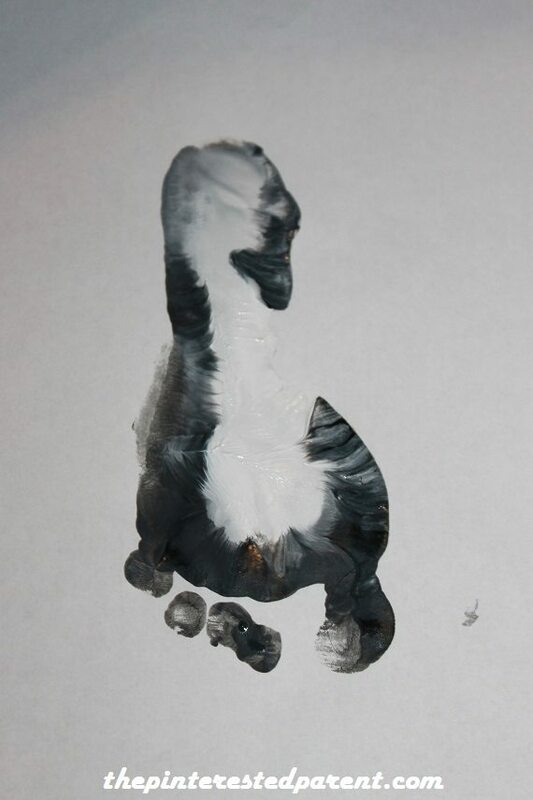 Paint the foot much in the same manner as above, only use black instead of gray. 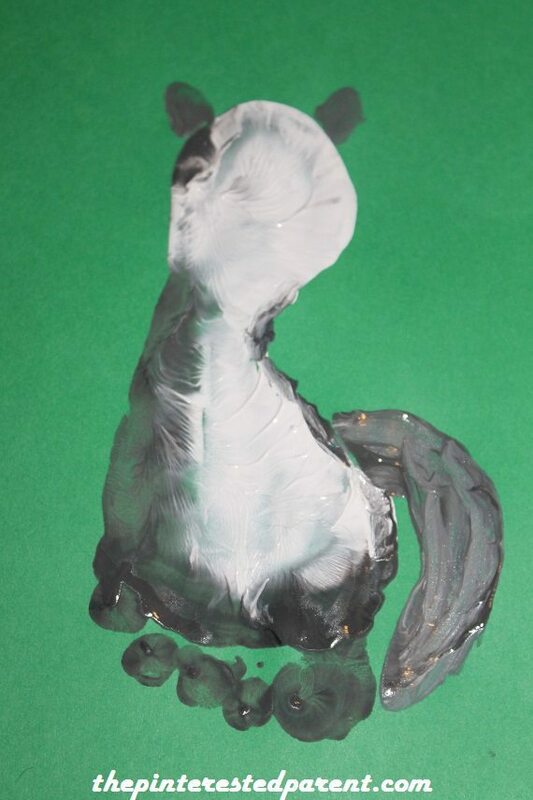 Paint in the tail, ears & top tuft of hair. 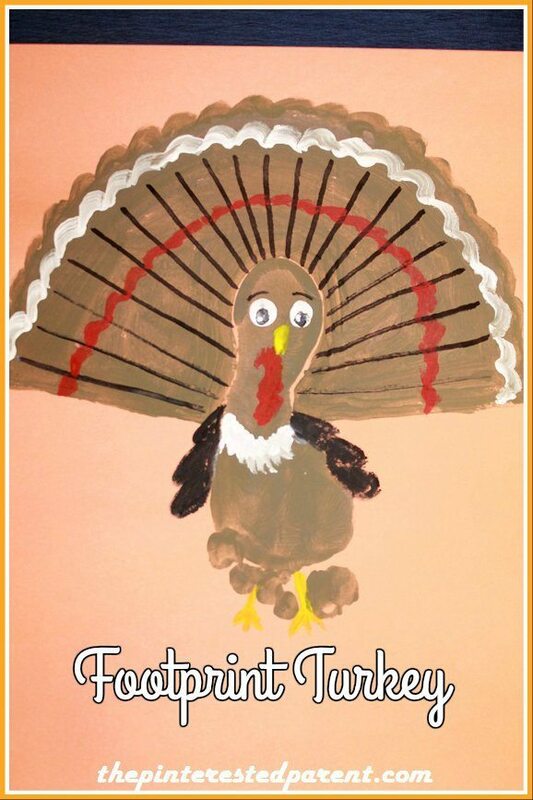 Finish off your craft by painting or drawing in the face with markers. 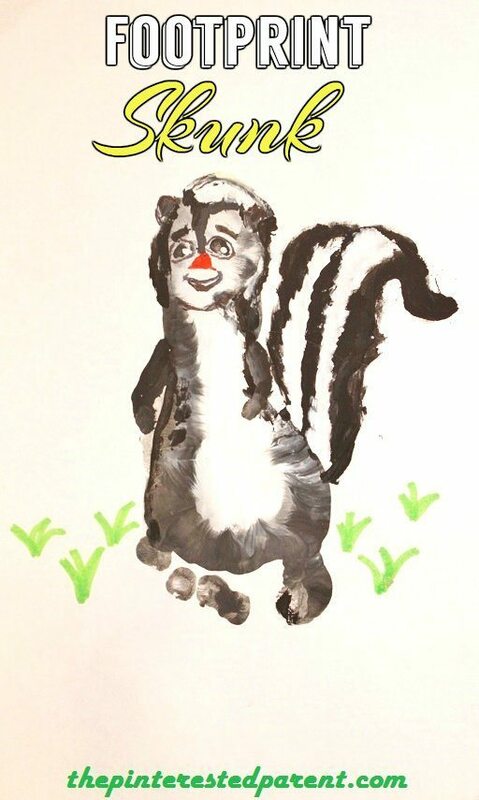 Add small arms to complete your skunk. 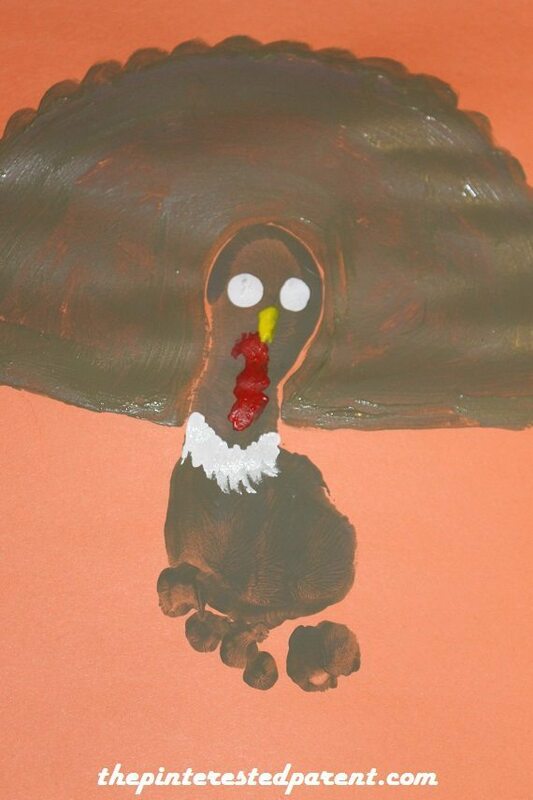 Our daughter did actually paint her foot for this craft with very minimal help. Dot on the whites of the eyes, beak, hind feathers & the wattle. Paint in the feather details & paint in wings & feet to complete. It will be here before we know it. Wow!